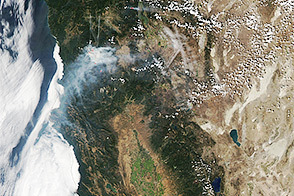 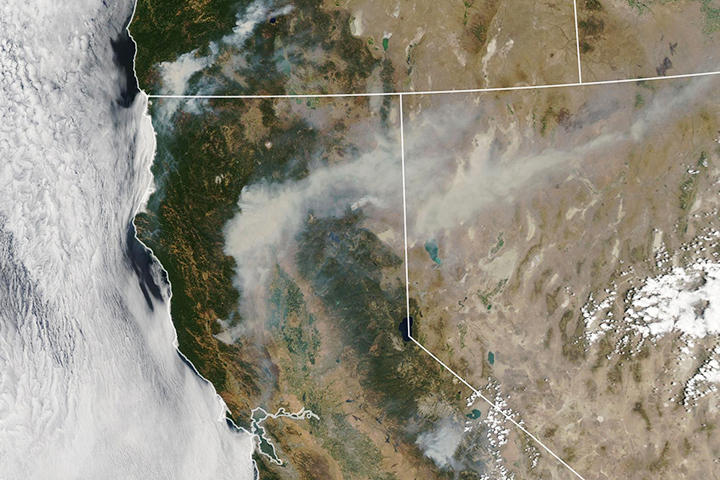 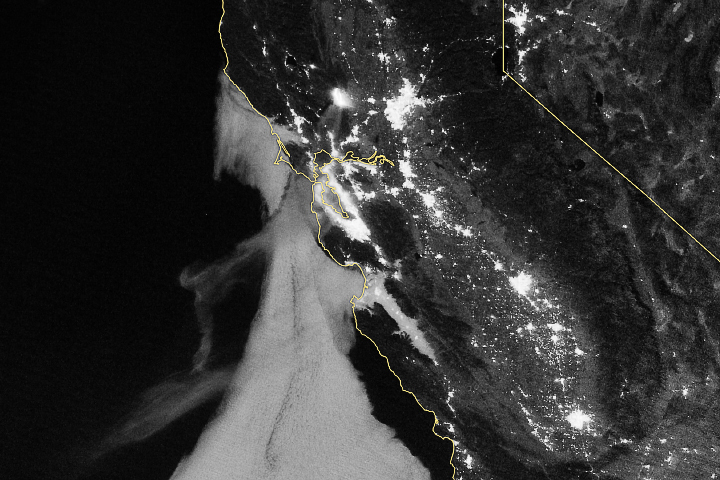 Several other NASA sensors acquired views of California and Nevada fires and smoke plumes this week. 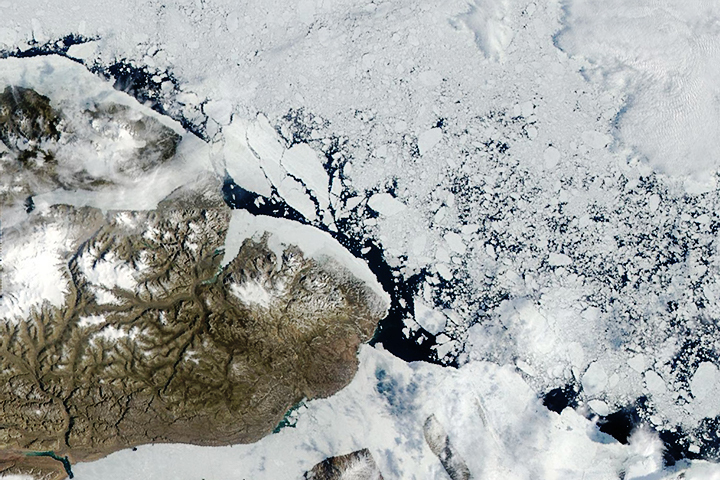 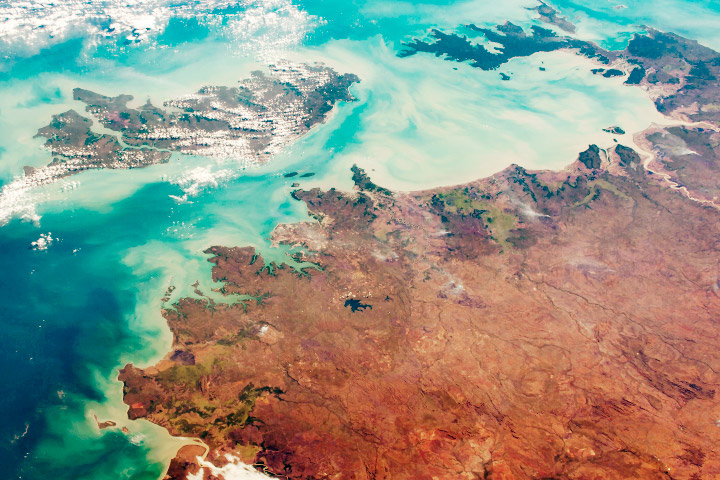 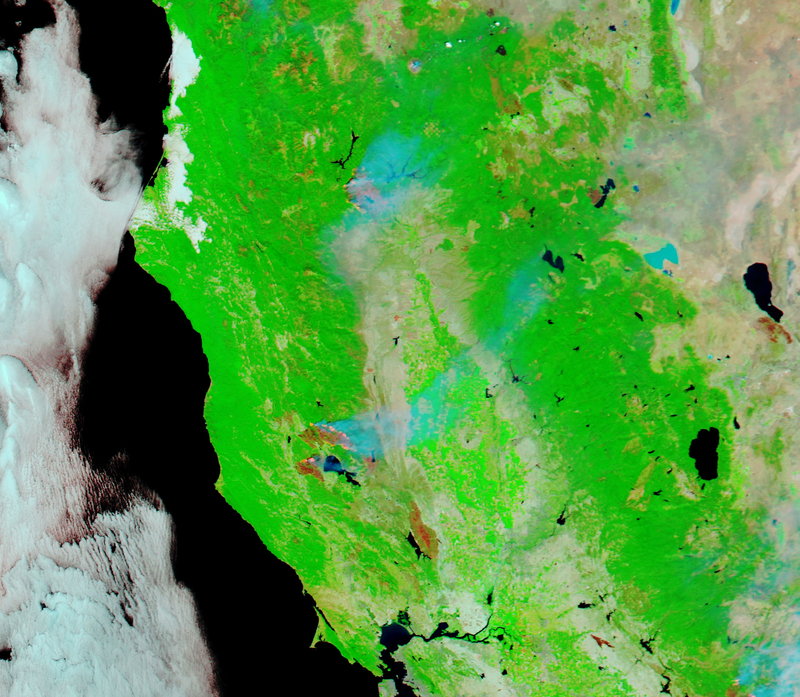 NASA’s Ecosystem Spaceborne Thermal Radiometer Experiment on Space Station (ECOSTRESS), which was just installed on the International Space Station in early July, got a view of surface temperatures around the fires. 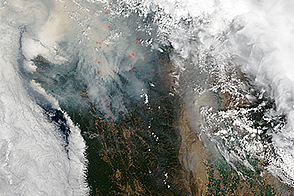 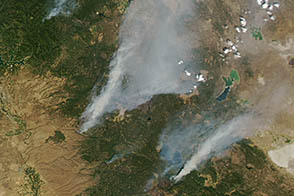 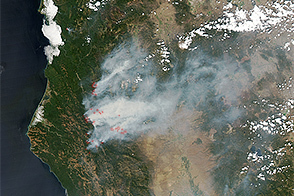 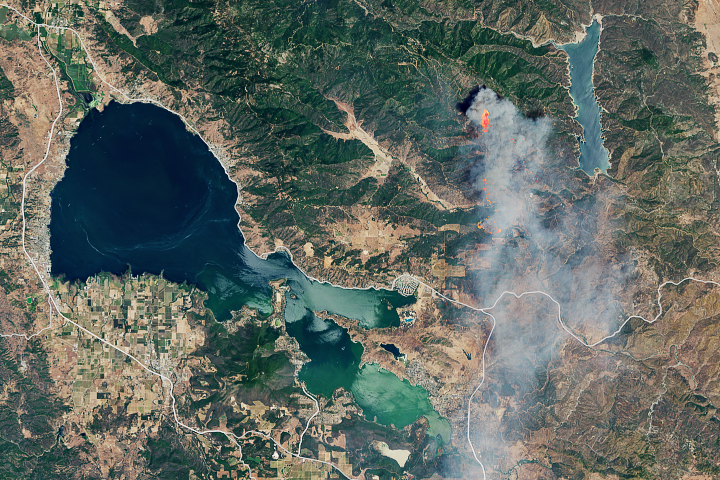 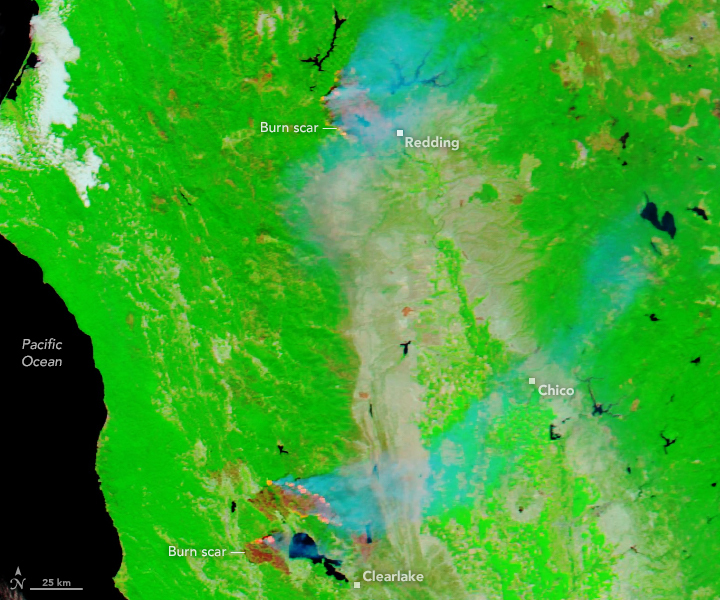 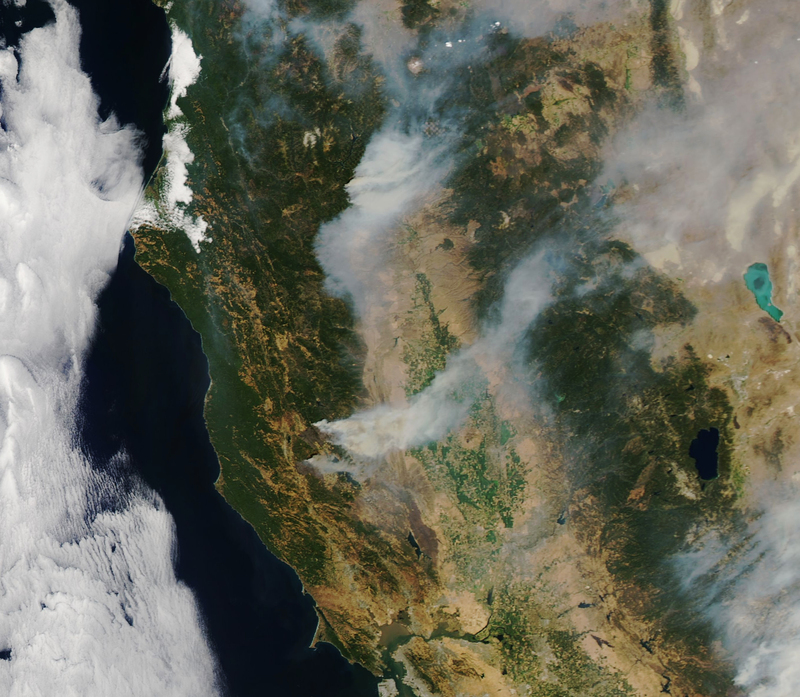 The Multi-angle Imaging SpectroRadiometer (MISR) instrument on NASA's Terra satellite collected data on July 27 and 29 revealing the height of aerosols and smoke as the plumes blew up and away from the fires. 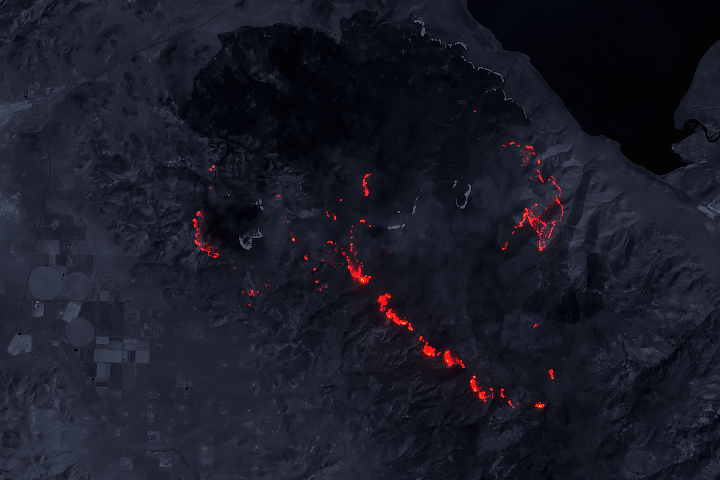 And the Visible Infrared Imaging Radiometer Suite (VIIRS) on the Suomi NPP satellite captured a nighttime view of the fires as they lit up the countryside early on August 3. 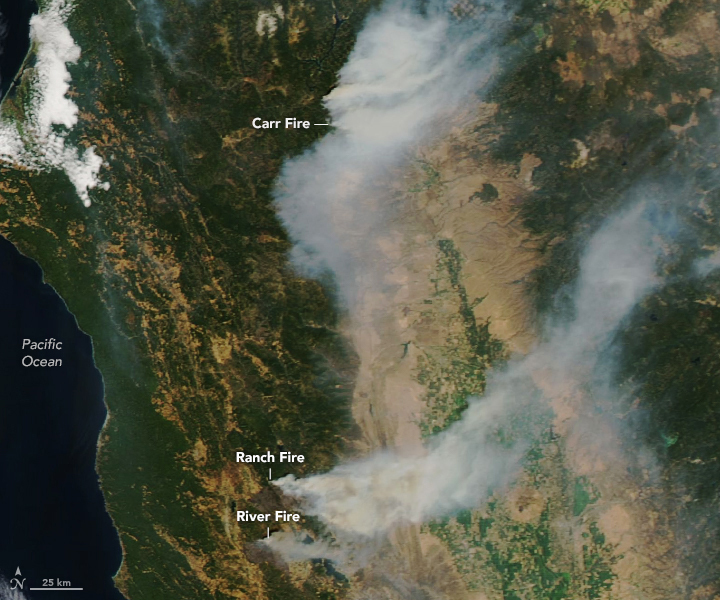 Almost a quarter of a million acres of land and more than a thousand homes have been consumed by three wildfires in Northern California.